August 2nd, 10 a.m. – 12 p.m. – Summer Playdate with Macaroni Kid @ Harbourside Place, 200 North U.S. Highway One, Jupiter. Meet real-life pirates and mermaids, enjoy story time and indulge in arts & crafts with Macaroni Kid. Bring your swimsuits for splashing in the splash pad and for sliding down the water slide from Jupiter Bounce. There will also be a dance performance by Just Dance Studio, and afterwards kids can make their own pizza at BRAVO! August 5th – August 7th – Teacher Appreciation Weekend @ Harbourside Place, 200 North U.S. Highway One, Jupiter. As summer comes to an end, the restaurants and shops at Harbourside Place would like to wish all teachers and faculty the best of luck with the new school year ahead. As a way to show their appreciation, teachers & faculty will receive exclusive shopping & dining deals all weekend long! Visit http://www.harboursideplace.com for more information. August 6th, 7 a.m. – Loggerhead Triathlon @ Carlin Park, 400 Florida A1A, Jupiter. The Jupiter Medical Center Loggerhead Triathlon produced by the Palm Beach North Chamber of Commerce is one of the longest enduring triathlons in the state of Florida. Dating back to 1985, triathletes have made the trip to Jupiter year after year to enjoy the magnificent ocean-side setting, the family-friendly atmosphere, and the competition. The event has become a “must do” on the southeast race circuit and has spawned some of the top triathletes in the United States. Click here for more information. August 6th, 8 a.m. – Friends of Jupiter Beach Beach Cleanup @ Ocean Cay Park, 2188 Marcinski Road, Jupiter. Friends of Jupiter Beach has been organizing beach cleanups on the FIRST Saturday of every month since 1994. Volunteers, ages 4 to 84 and multiple generations, arrive from 15 area zip codes to help remove trash & recyclables, then gather for a delightful continental breakfast & “thanks for coming” door prizes. Visit http://www.friendsofjupiterbeach.org. August 6th, 8:30 a.m. – 10:30 a.m. – Hike Through History @ Jupiter Inlet Lighthouse and Museum, 500 Captain Armour’s Way, Jupiter. Discover the topography and natural history of Jupiter’s National Conservation Lands historic site. This 2 mile trek passes through historic points of interest on the 120 acre Jupiter Inlet Lighthouse Outstanding Natural Area. August 6th, 4:30 p.m. – Roger Dean Stadium Back to School Night @ 4751 Main Street, Jupiter. The first 500 kids will receive a backpack as they walk through the gates. There will be many vendors in the concourse giving away school supplies to fill those backpacks. Game begins at 5:30 p.m. Tickets for children ages 3 – 12 and seniors over 55 are $7.00. Adult tickets are $9.00. Veterans get in FREE. 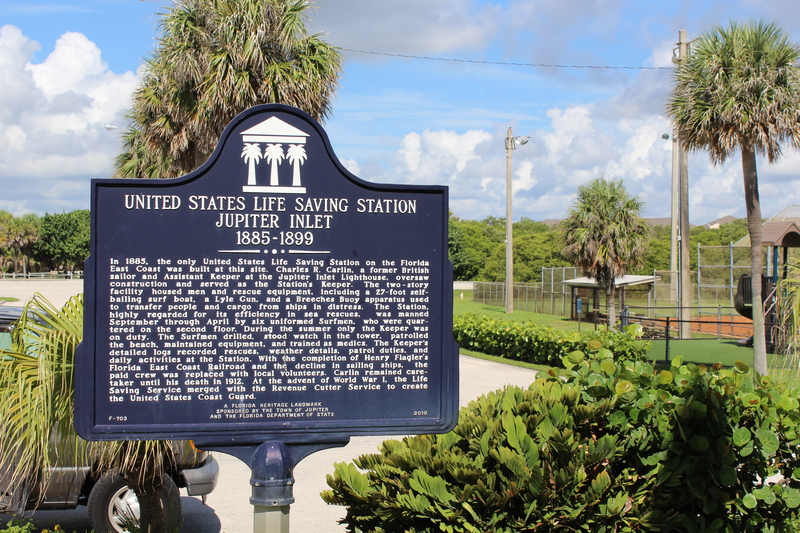 August 7th – National Lighthouse Day @ Jupiter Inlet Lighthouse and Museum, 500 Captain Armour’s Way, Jupiter. Special buy-one-get-one-free admission for children ages 6 – 18. 9 p.m. Clement Aubrey’s roots reggae and lover’s rock. 21 and over, no cover. 3 p.m. Rob Arenth Unplugged jazz guitarist. 4 p.m. Birdmans Clambake rock ‘n’ roll happy hour. All ages, no cover. 9 p.m. Eric Steckel’s blues and soul. 21 and over, no cover charge. 3 p.m. Deal James’ blues and alternative rock. 8 p.m. Wonderama’s pop and Top 40 covers. 3 p.m. Jim DiBattista’s acoustic covers.